If you’re looking to showcase a product or service, having a well designed landing page is essential. 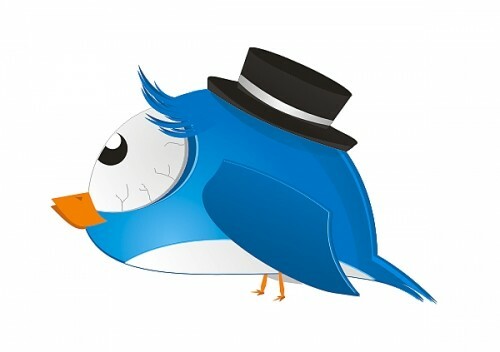 It’s also wise to throw up a coming soon page before launch in order to collect e-mail addresses and generate some buzz. Bootstrap is a fantastic framework for creating landing pages due to it’s responsive design capabilities. With so many people browsing the internet on mobile devices, you want to ensure people can view your website properly. Whichever type of landing page you’re looking to create, we’ve got you covered. The following post is a curation of well designed Bootstrap landing page templates from BootstrapBay, a growing marketplace for premium Bootstrap themes and templates. 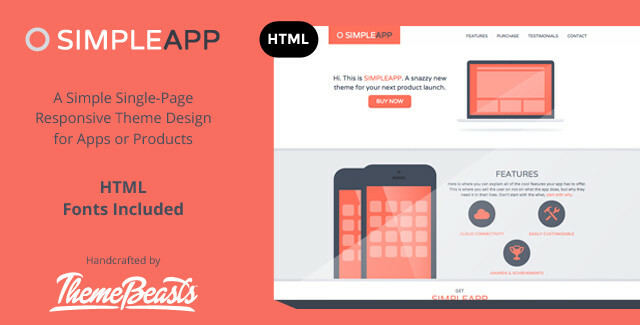 SimpleApp is a simple but stylish HTML theme for your next product launch. 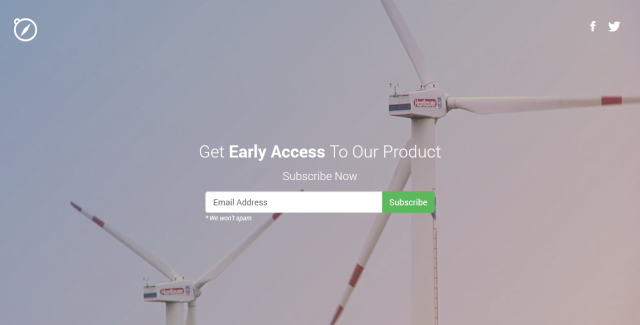 This landing page is packed with some awesome features such as CSS3 animations and a cool minimal form. 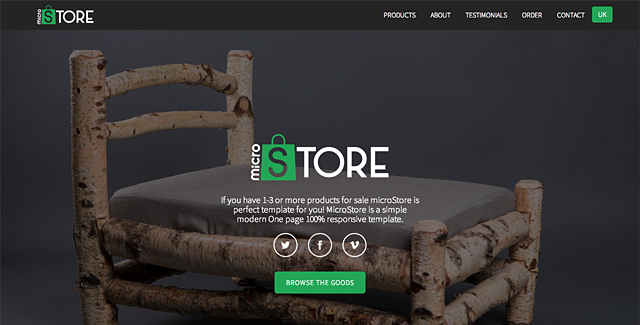 microStore is the perfect template if you’re looking to sell 1-3 products. The template is clean, modern and fully responsive. 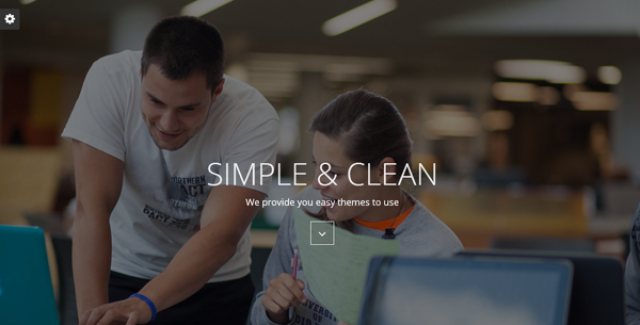 Easy is a lightweight Bootstrap template that comes with 2 different layouts and a coming soon page. The theme is very lightweight thanks to the minimal design and all of the background colors can be changed with ease in the CSS. 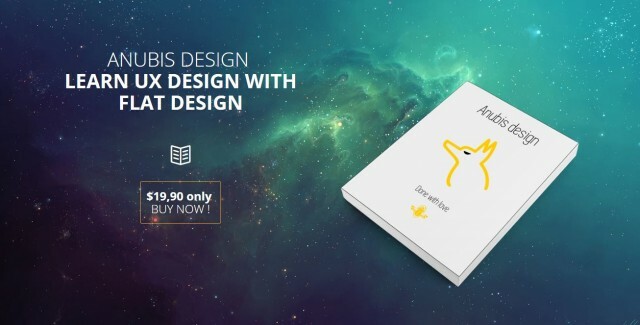 Anubis is a Bootstrap landing page perfect for someone looking to promote an e-book, app or some type of product. 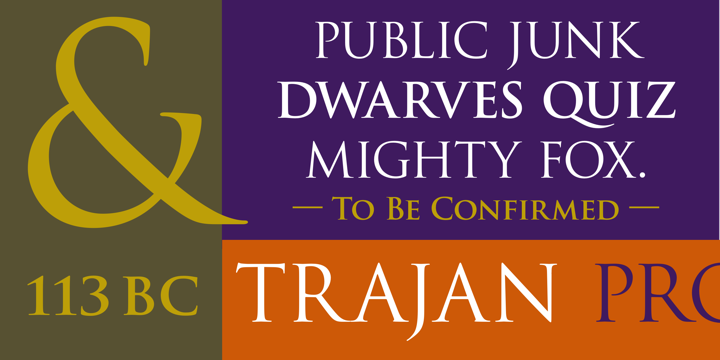 The theme features a flat design and modern design techniques. 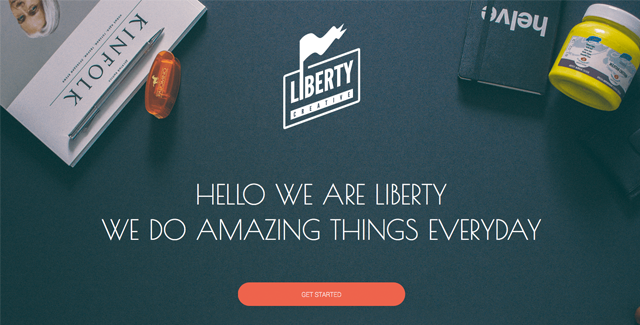 Liberty is a responsive one page Bootstrap template that is fantastic for featuring an app or product. It has a very stylish and clean design that brings out the features of the product. Compass is a creative, professional and responsive HTML5 coming soon theme. This theme contains many useful resources including form validation and support for video. Built with Bootstrap 3, Compass has amazing browser compatibility. 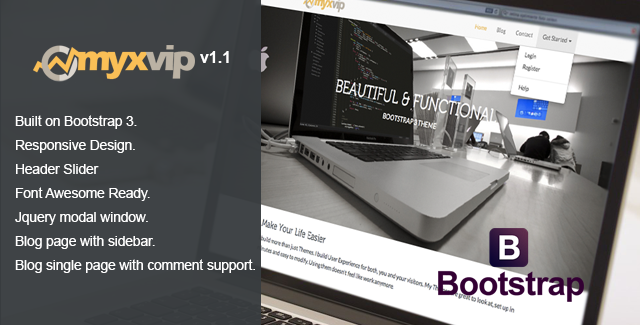 MYXVIP is a clean and elegant theme suitable for displaying your product, app, business, portfolio or services. This theme also has a blog page for added functionality. 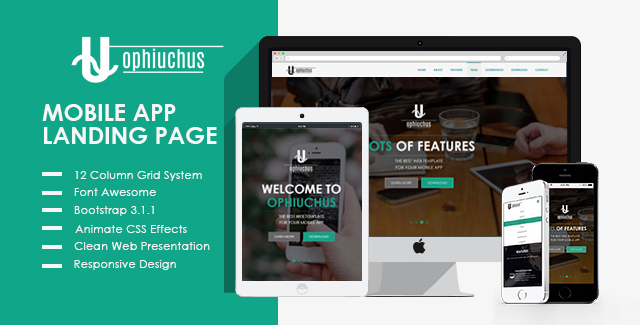 Ophiuchus is an interactive and modern landing page template for mobile applications. The landing page comes with a variety of different styles and neatly organized code. 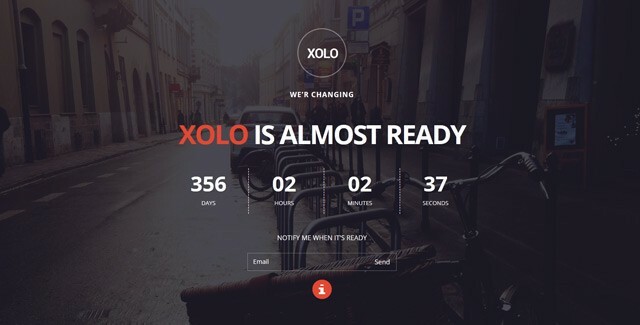 XOLO is a great minimal coming soon template with a countdown and subscription form. The template is retina-ready with clean animations. 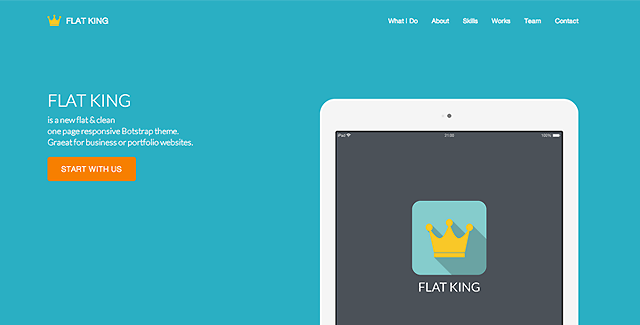 Flat King is a very clean and flat one page responsive Bootstrap theme. It’s ideal for businesses looking to feature a project or product. 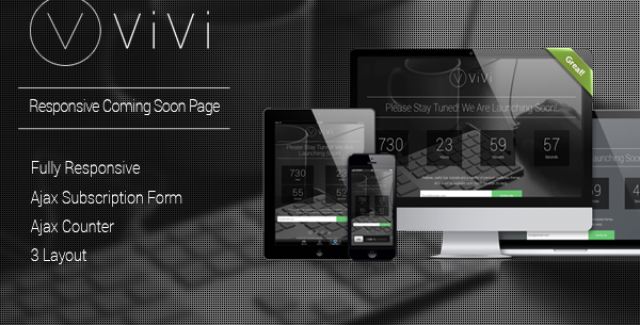 ViVi is a responsive coming soon page template with a clean and minimalistic design. The pack allows you to use 3 different type of pages: static background, slideshow background or video background. 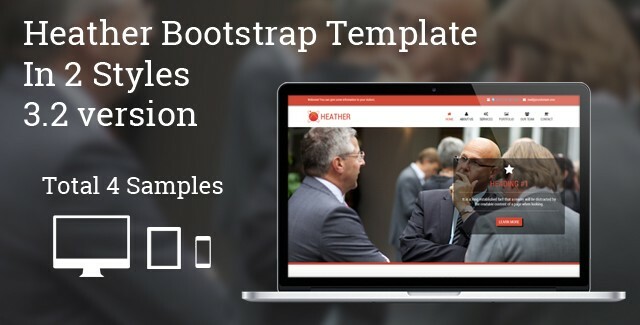 Heather is an HTML template built on Bootstrap 3.2. The template comes equipped with 4 different variations and detailed documentation. 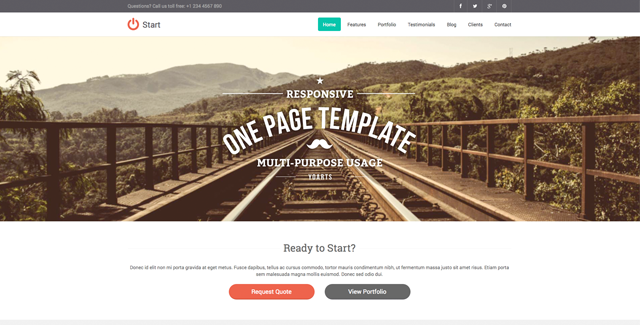 Start is a premium responsive one page template designed for anyone launching a product or service. 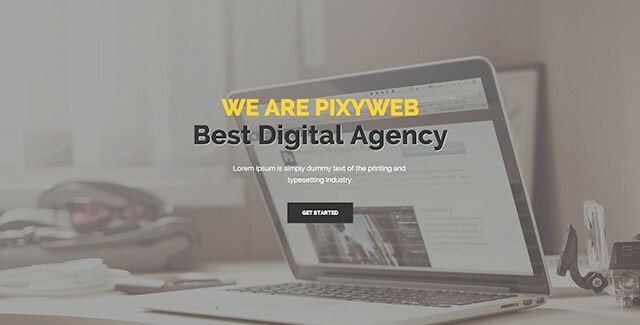 PixyWEB is a very versatile one page Bootstrap template. It can be used to highlight the products or services of multiple kinds of business entities and agencies. 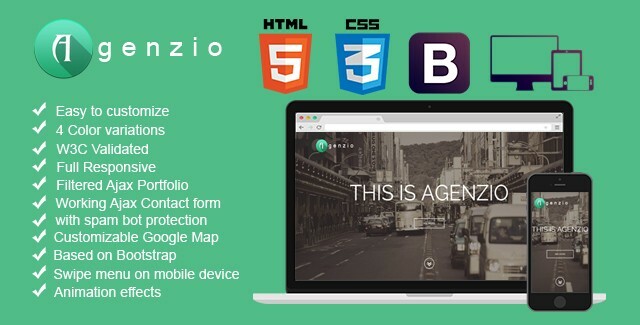 Agenzio is a multipurpose and responsive HTML5 / CSS3 template that can be used to highlight products and service. It comes equipped with tons of features and a working contact form.